Membership is available with flexible requirements at each level, and the values of membership grow with your career. Professional members are able to vote, in addition to all of the benefits of student membership. 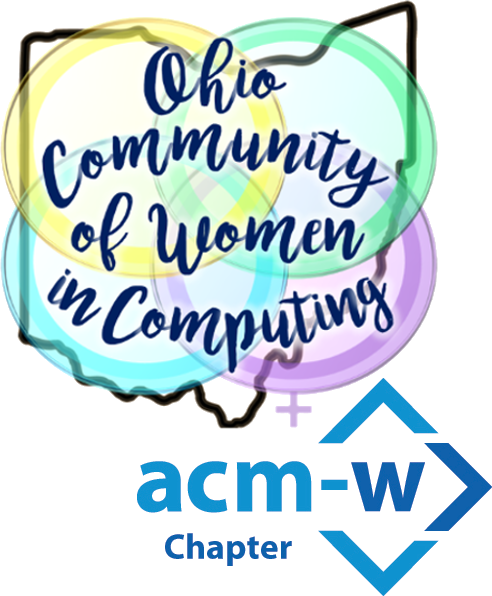 Members at the professional level are the power and strength of the OCWiC ACMW Professional Chapter. Build your professional network by using our private LinkedIn group, and presenting at the Celebration. Nominate yourself or your colleagues for leadership positions, and vote on issues that affect the Community. 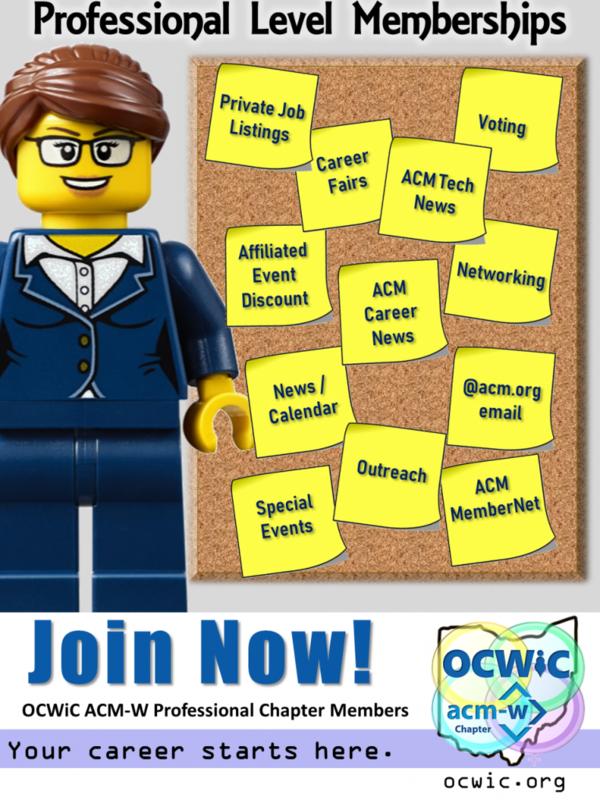 You get the OCWiC newsletter, plus ACMW Professional Chapter publications. + Vote on officers, bylaws, etc. * Please note Professional membership in an ACM Chapter is not a full ACM membership. Only full ACM members receive a complete subscription to the Communications of the ACM magazine, digital library, publication and conference registration discounts.